Tell us a bit about the inception of Parce Rum; what it takes to produce a smooth blend and why you've wanted to create a spirit that gives back to it’s environment. Jim Powers: Parce is the result of fortuitous timing and perhaps a bit of fate. About five years ago I was visiting Colombia for the first time and fell in love with the country. My brother Patrick had been living there for several years and another brother Brian had made trips before so they were already ahead of me. We were there at the same time and decided it was time for us to do something together that could be a conduit between this amazing country and the rest of the world. Our Dad, Ed Powers, had passed away a few months before our decision and he had often expressed interest in his sons working together on a project. My background is in music, I own a record label and was an A&R scout for major labels previously, Brian was an ad executive at his own agency in Denver for several years, and Patrick was the general manager of our dad’s company, Powerseal. While we certainly each had varied interests, we have a solid appreciation for family, friends, different cultures, and great spirits. Creating an outstanding aged sipping rum that could benefit Colombia as well as our partners immediately captured our imagination, and our wallets. It took a few years to make Parce a reality. Determining the best possible blend obtainable, meeting the right people to do business with locally, and getting through the juggernaut of Colombian regulations, took time and a lot of patience, but we are thrilled with the result and response to our Parce rums. 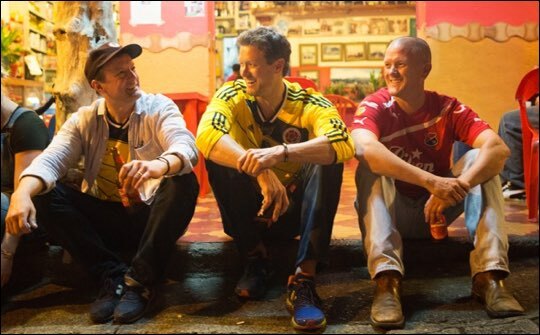 In addition to myself, my brothers Patrick and Brian, along with longtime family friend and Medellin partner Jaime Uribe all remain very involved in assisting with production in Colombia. How did you come to work with master distillers Arthur Fernandes and Brojen Fernandes? JP: Fellow founding partner Jaime Uribe, learned about Arthur and Brojen during our year long search for suitable master blenders throughout Colombia. A friend in Medellin told Jaime about their rum work in Bogotá, and we met them in Bogotá soon thereafter. As a father and son team, Arthur and Brojen of course are also a family based business and we felt an instant kinship with them upon meeting. We are very proud of the quality and outstanding character of the Parce rums they have blended for us. Arthur and Brojen oversee and approve each blended batch of Parce bottled. What would you say is distinctive about Colombian made rums, in particular? Arthur Fernandes: Colombian Rums fall into the broad category of Central American and Caribbean Rums that are distilled from a variety raw materials of cane origin such as cane juice, cane juice concentrates (miel virgen) and cane molasses. Distillation is carried out in pot stills or column stills between 65º GL to 94ºGL and aged in white oak barrels. 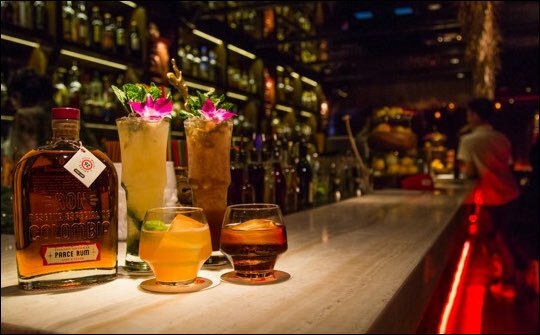 Our rums are characteristic of sipping rums and are pleasant to the nose and palate. You plant a tree with every bottle you sell to prevent deforestation in Columbia, is that right? JP: Deforestation is a serious issue in Colombia, despite the country being home to much of the most rainforest in the world. A social agency we connected with there put us in touch with a village that had deforested so much their local water filtration system became contaminated by runoff. We agreed it would be our first effort for our One Bottle = One Tree program. We are very proud that already over 20,000 native species trees have been planted in Colombia as a result of Parce customers purchasing our rum. Personally we love the very tangible, positive impact a Parce rum fan can have upon Colombia with this straightforward model of One Bottle=One tree. Is it quite rare for Columbian rums to win awards? Why exactly? AF: Colombia is a country that has a state monopoly for the production of cane distillates and rums that are basically for local consumption and have not been noted for catering and penetrating international markets. How many Columbian rums would you say there are in Columbia, roughly? AF: Roughly around 10 brands. Because of the state monopoly the larger and more powerful states have survived at the expense of the smaller states. Which beverage brands or rum makers truly inspire you? JP: Ed Hamilton’s Hamilton line of rums are lauded, and we’ve learned a lot by listening to his thoughts on rum and the business of rum. Lost Spirits Navy Style rum has always tasted great to me. Cana Brava, Havana Club 7 year is a year round fave, Clement (particularly Canne Bleue). On the Cachaca tip Avua Cachaça is very impressive from juice to bottle, and their founder Nate Whitehouse is a great guy, doing things well. Do you have any more rum products in the pipeline over the next few years? JP: We are very pleased to soon introduce a Parce 3yr rum. It is in production currently, and will be available in January. 43% ABV, 1 litre. There are a couple of other products in the works for 2018 too. What is unique about the way Parce Rum is produced exactly? AF: We select distillates that when blended produce our unique profile. It is aged in used American oak barrels and our plant is located in coffee and cocoa country in the Quindio Province of Colombia. Every batch of Parce rum is crafted and personally approved of by the master blenders. Do you imagine we’ll see more rums coming out of Colombia over the next few years? AF: As the government rum monopoly is winding down, we would expect there to be more privately own rums to start there. They will want to buckle up for the journey, and be 100% committed. Have you seen any changes in the way rum is being distilled over the years? If so, how and at what stage exactly? AF: Pot stills were traditionally built of copper. The advent of continuous column stills has moved to stainless steels but often still incorporate copper shavings in their condensers. Do you think consumers are becoming more open to brands from lesser known rum producing countries? AF: Yes. It seems to us that consumers of premium goods and experiences are interested in a yin/yang of both quality, and a sense of other. Lastly, how do you like your rum - on the rocks, neat or cocktails? JP: Ideally neat, or with one large rock. Of course I also love a well-crafted rum cocktail, and these days there are many folks doing some deliciously complex things with rum.